Right now, your basement is filled with boxes, and tools, and toys…oh my! But if you can look past the collecting dust on the old furniture that you’ve been stashing away, you will see a space full of potential for a family fun room or a great getaway for dad. While remodeling the basement might seem overwhelming at first, finding a great contractor to work with can relieve the weight of stress from your shoulders. Cleveland Design and Remodeling, a division of Innovate Building Solutions, can assist you with developing a plan that will meet your expectations, all while staying within your budget! Aside from offering fun and functionality to the basement, home owners in Akron and Cleveland will find that remodeling the unused or underutilized space adds tremendous value, both to the property and to their social lives, either as a family or through entertaining friends. Remodeling the basement also allows home owners to upsize their current home without being forced to find a more spacious new one. 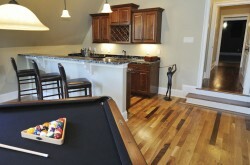 Utilizing basement space is also a very cost effective alternative to doing a new room addition. If you want to give the man in your life a gift he will never forget this Father’s Day, consider making a plan to create a room in your basement that’s filled with things for him to enjoy. Man caves are a popular choice for basement remodeling in the Cleveland area, and can include all of dad’s favorite features—from large flat screen TVs, to cozy oversized couches, to pool tables, to wet bars—the possibilities and customization options are endless! 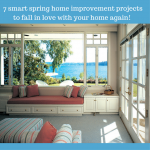 At Cleveland Design and Remodeling, we work with home owners, interior designers and architects to bring your basement remodeling vision to life. Be sure to check out our online gallery of photos for ideas and inspiration, or follow Innovate Building Solutions on Pinterest. For more information about our company or to get a free estimate, call us at 216-658-1270. We look forward to hearing from you soon! Happy Father’s Day!